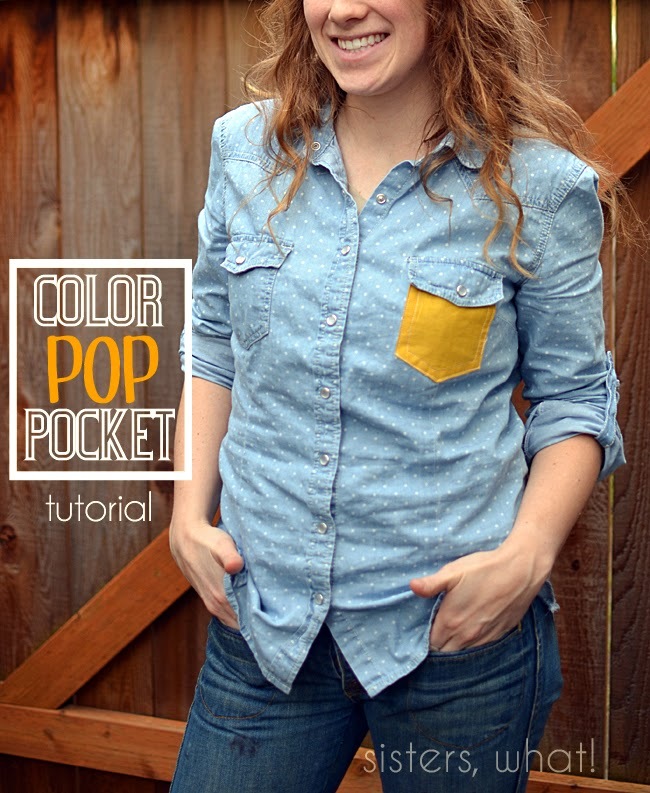 ' Color Pop Pocket Shirt [tutorial] - Sisters, What! I can't believe that I haven't got around to posting this yet. 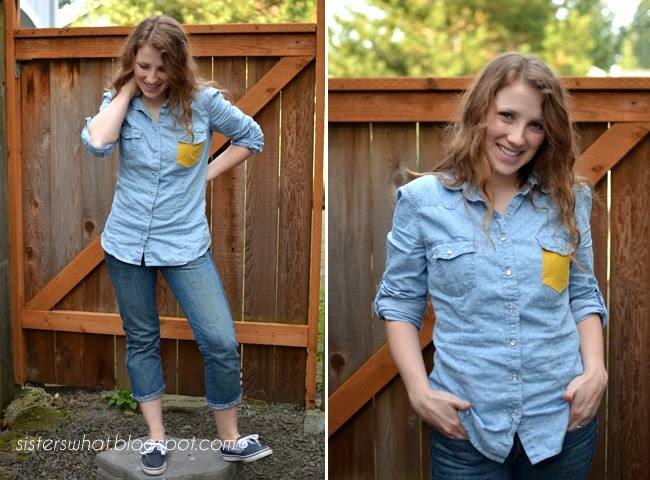 Remember my pattern pop pocket shirts? Well like I said in that post, I really love the contrasting pocket look. 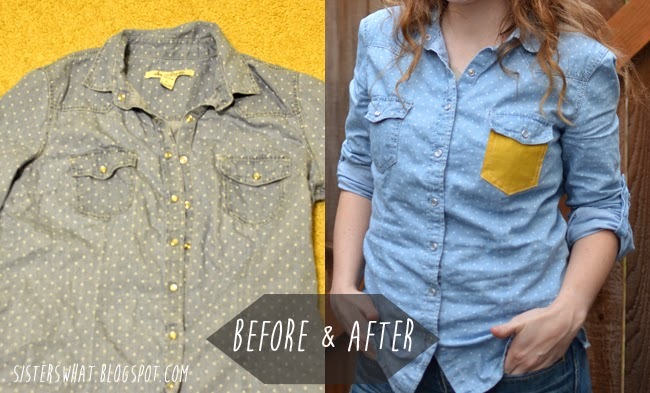 Around the same time I did the pattern pocket t-shirts, I also redid this polka dot denim shirt. It was a thrift store find so I had to bring it in to fit me (tutorial here). 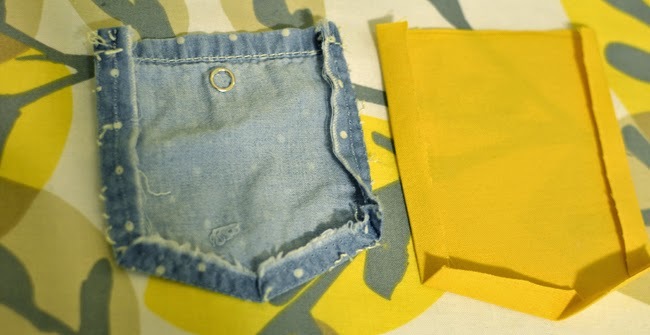 I then took off one of the pockets to add the color pocket. I love the simple affect it makes on the shirt. //2// fold the sides in and iron. Place the new fabric pocket back onto the shirt where the old pocket was. //3// sew new pocket in place. And wala!